Jim is a software developer and an avid blue planeswalker. He spellslings in Orlando, Florida but his old stomping grounds were in New York City. The best way to contact him is through twitter. I was writing an article about the Pro Tour and cards to watch but that’s kind boring. We got the Grand Prix schedule for next year (you can find it here) and it’s great! There’s one very big event next year much like last year. Grand Prix Las Vegas will likely be the largest Magic event of the year. Maybe of all time, topping the previous Grand Prix Las Vegas. But probably most notably, is this GP Vegas is not format “TBD”. It’s not even limited. It’s unlikely there will be any limited release product to headline that weekend. And that’s great! Wait were you expecting me to complain that they’re not using that weekend to hold a sealed Modern Masters 2017 Grand Prix? It’s actually the best possible scenario if there is a limited print run set (like Modern Masters and Eternal Masters) that it doesn’t go to a huge limited Grand Prix. What has happened in the past and will continue to happen in the future is large portions of the print run can be bought up by vendors and keep prices high on cards that would otherwise stagnate and fall. 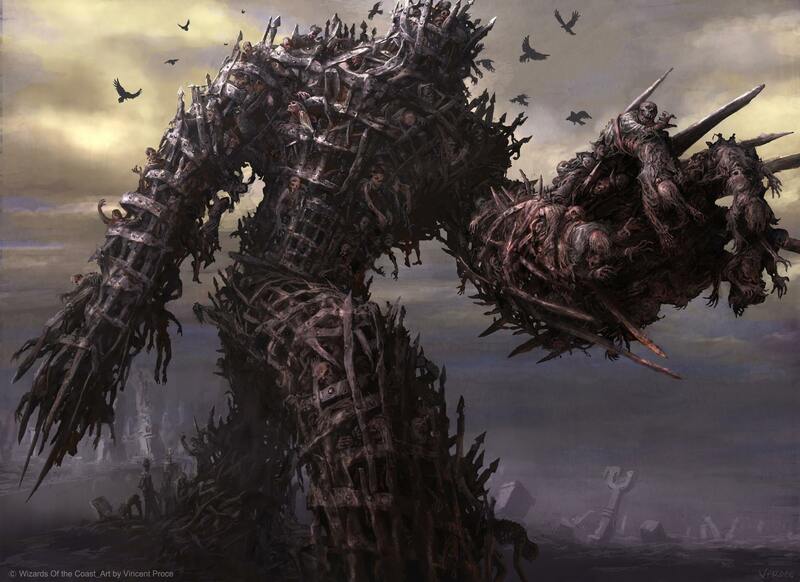 Grand Prix Las Vegas 2015 saved Tarmogoyf from that fate. Look at this price graph. 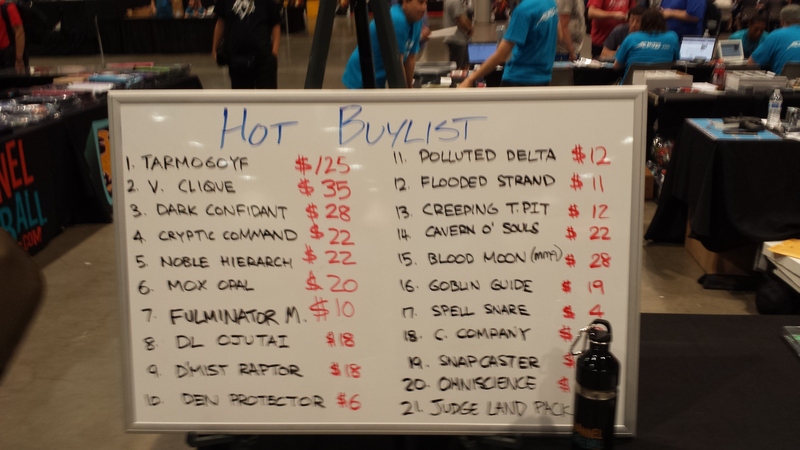 Tarmogoyf is consistently going down and the buylist price is a miserable $70. 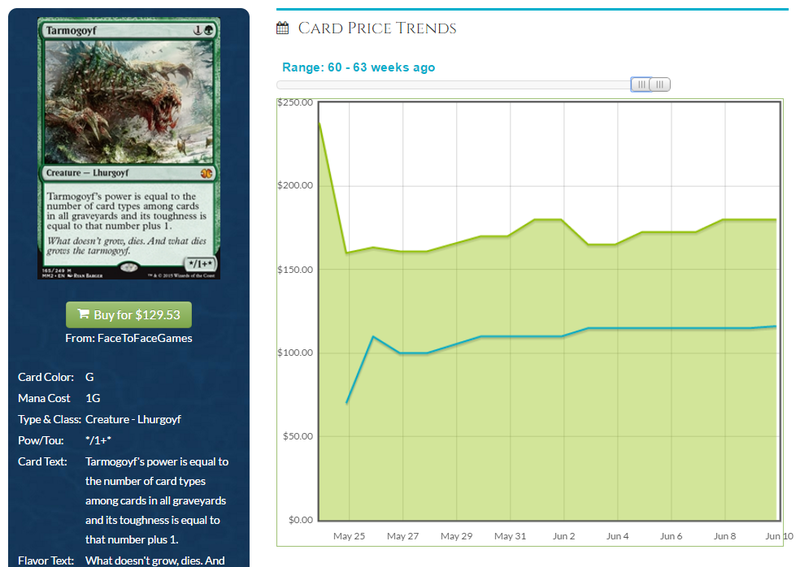 All of a sudden the buylist price spikes and by June 1st it looks like Tarmogoyf bottomed out for a day. It’s pretty easy to see what happened here. I have some pictures on my phone from that weekend. This sign (which wasn’t even the first one they put out) “saved” the price of Tarmogoyf. When there is a huge room with tons of vendors looking to compete to buy cards on a weekend you best believe they will match each other. This store’s buy prices were so far and away the best that everyone had to increase their buylist prices to even get a sniff of someone selling them cards. Sure some stores like Coolstuff probably kept it low and just bought their more casual bread and butter cards but a lot of vendors don’t operate that way. This also puts a strain on the supply on other online sites because people see these buylist numbers and gain a new appreciation for the value of their cards. 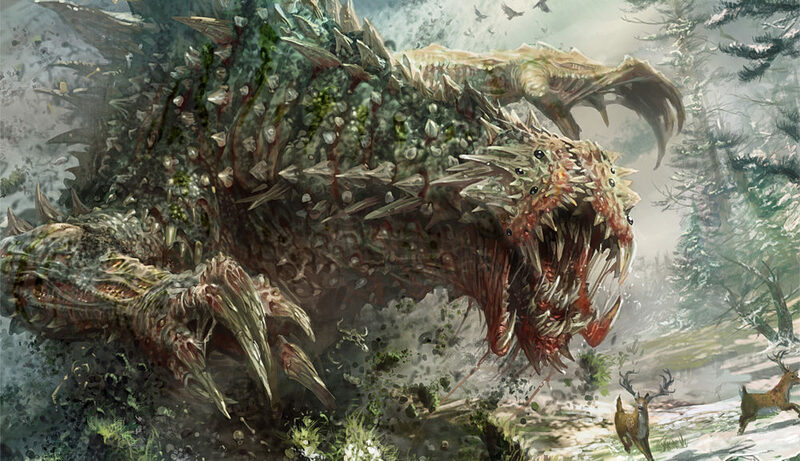 There is definitely a level of consumer confidence in the price of a Tarmogoyf that makes them reluctant to sell them for lower buylist prices. If Joe Schmoe was thinking of selling the Goyf he cracked in his one pack of Modern Masters 2015 online because he saw vendors are paying $125 for it then it causes the prices of other Tarmogoyfs to increase. It’s the rising tide lifts all ships effect. 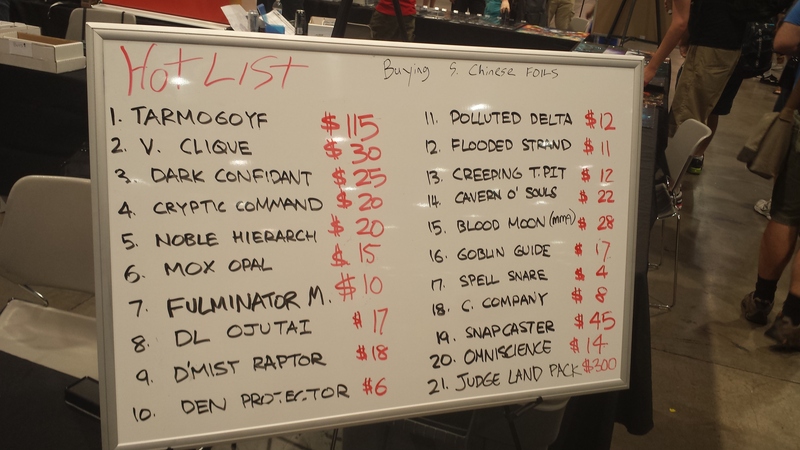 Later in the weekend they moved down to a slightly more sane $115 – which is still more than you can pay to buy a Tarmogoyf 15 months later! But the real question now, when you can find Tarmogoyf for $110 on aggregate sites like TCGPlayer, is this still too expensive? Had a large portion of the available Tarmogoyfs not been opened in Las Vegas what would the price look like? Maybe it would be like the new Force of Will. While there is not great data yet due to it’s age, I can say for a fact that Force of Will is trending upward despite an infusion of supply. It’s possible once again that a store has propped up the low supply artificially raising the floor or perhaps people underestimated how many are actually in circulation. I’m not sure which it is but I can guarantee it would be light years worse if GP Columbus (the same weekend as the release of Eternal Masters) was an limited print run limited Grand Prix. I do believe there will be a Modern Masters 2017 and some other weird summer set to sandwich a standard booster set. I have a feeling it worked out too well for Wizards of the Coast this year not to do it again. What will be in it? I suppose that’s anyone’s guess but I’m expecting a return of Sir Tarmogoyfington III as well as a plethora of reprints from Innistrad block. 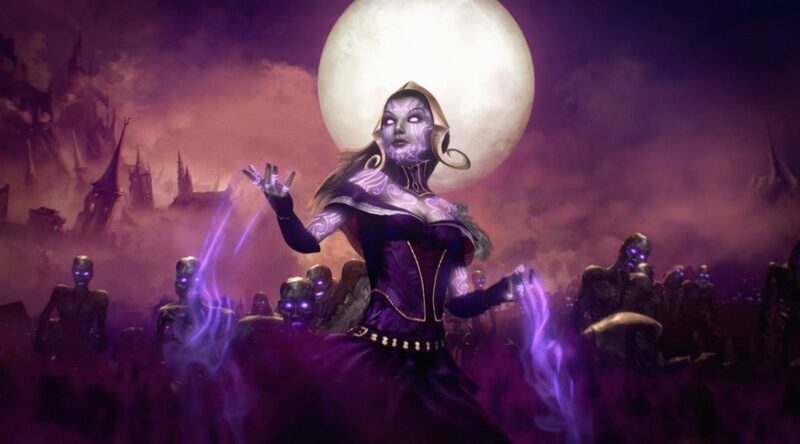 Liliana of the Veil, Snapcaster Mage, Craterhoof Behemoth, etc are likely to all be mythic rares. We will likely get this announcement during one of the two yearly announcements (during the release of Kaladesh and the unnamed block following). 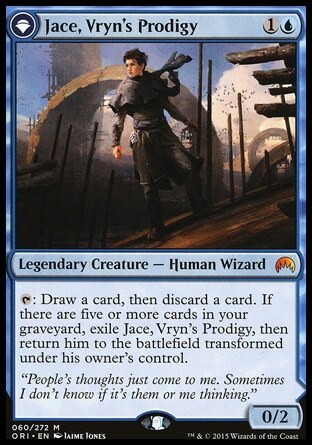 I don’t think the sky is falling and I do believe we will find a deck that consistently beats Bant Company. What that deck is, I do not know but someone will figure it out. I expect it to be the brain child of Matt Nass and Sam Black but we will see what happens. 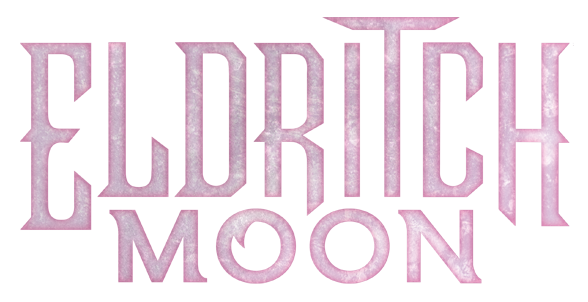 At this point most of the cards in Eldritch Moon have already seen huge decreases in price. I would recommend picking up anything you might want to play before the Pro Tour and then wait until the middle of September to get the rest. Right before Kaladesh spoilers will be the best time to get in. Grinder Finance – WTF is Printing and Collation? I’ve decided to start a little mini-series, appropriately titled “WTF is _” to take some time to discuss some topics that might not necessary be the most important finance topics but tangentially related to the cost of cards as a whole. The first topic I’m going to talk about is collation. Well if you go look up the word collation, it doesn’t make a whole lot of sense in the way it’s used to describe Magic product so I’m assuming someone made the stretch to fit at some point in time. I don’t know the etymology of the phrase but I know what it means. Collation in Magic terms refers to the distribution of cards in a booster pack (or packs in a box, etc). But before we can really dive into Magic’s collation process and what it’s doing today, we need to talk about the printing process first. As a young upstart company without presumably a ton of financial resources it’s no surprise Alpha was a huge source of printing problems. You ever want to make a vendor roll their eyes? Ask them if they have any Alpha Volcanic Islands for sale. Alpha was missing two cards that were part of Beta (Volcanic Island and Circle of Protection: Black) and that’s not even the worst part. 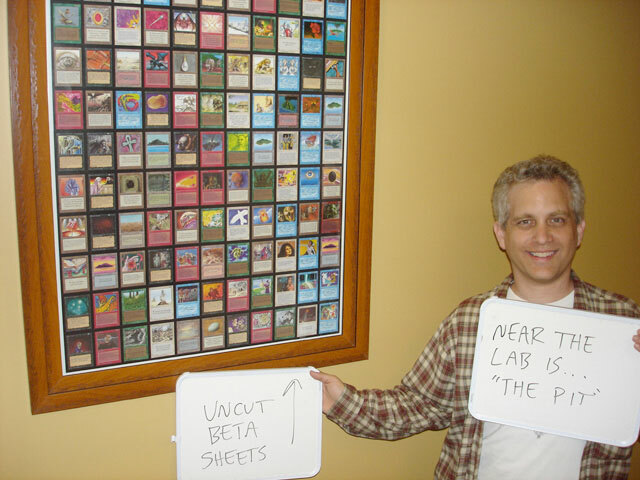 Here is a picture of Mark Rosewater standing in front of an uncut sheet of Beta rares. You might not notice it quickly but I count 4 (FOUR!?) basic islands on this rare sheet and I can’t even see the whole thing! 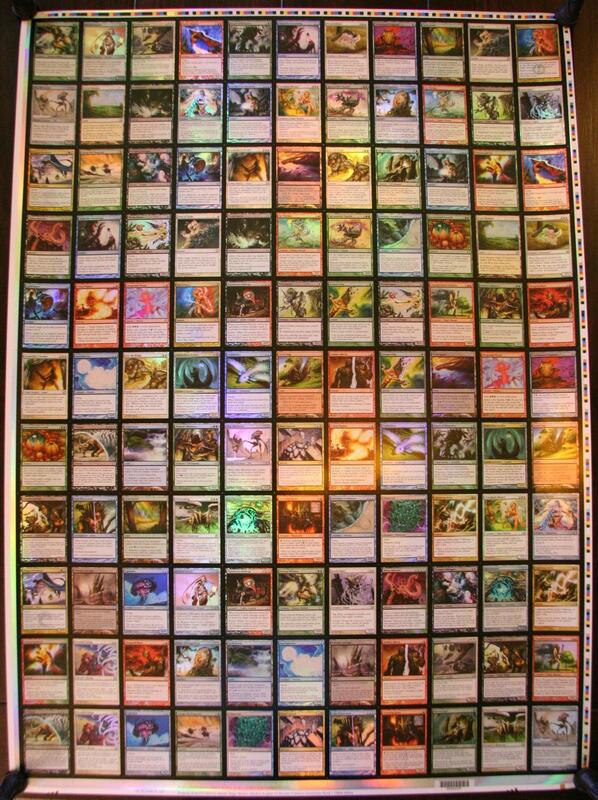 In this second picture (of presumably a common, rare, and uncommon sheet) there yet still more basic lands on the uncommon sheet. The short version of this story is don’t buy an unopened pack of old Magic. You could get some very bad cards as your rare. Have you ever heard someone say something’s rarity is “U2?” No they’re not talking about the band, but rather another experimental and now defunct printing process (kind of). Most people assume that the Legends Karakas is an uncommon and so is Mana Drain. They’re from the same set, right? Well yeah but technically, Karakas is a U2 and Mana Drain is a U1 which means there are twice as many Legends Karakas in existence than Mana Drains. The U1/2 distinction is how many times each card appeared on the uncommon sheet. That also happened with the common sheet which lead to some weird situations. Hymn to Tourach is a C1 in Fallen Empires but it has 4 different arts so it’s on the sheet 4 times… Some commons only had 3 different arts (this different art experiment was also a bad idea) which means despite them both being C1, there are more of some than others. But Fallen Empires also has other problems like it only being printed on two sheets (the other sheet had U3, U2, and U1 cards – which were Uncommons, Slightly more Uncommons, and Rares). Wizards has since learned something from these mistakes. Today, there are 3 sheets. Commons, Uncommons, and Rares. But wait, what about mythics? Well it’s pretty simple to explain. With the introduction of the colored set symbols to denote rarity, it became imperative that each card at the same rarity was the “same rarity.” Some cards, like Mythic rares appear slightly less often than other cards in the same slot so they have a new symbol but they are printed on the same sheet. The rare sheet for modern sets has 2 of each rare and 1 of each mythic – making mythics twice as rare as rare without the confusing R2/1 notations. But wait, there’s more! Flip cards can’t be printed on the same sheet as normal cards because they don’t have the same backing. Thus we have sheets that contain only flip cards and they are cut and inserted into the packs later as well. BUT WAIT – there’s still more! With Shadows over Innistrad and Eldritch Moon I am going to go out on a limb and make the assumption that they have split the flip cards into two sheets. One with commons and uncommons (1 goes in every pack) and one with rares and mythics (1 goes in some packs but doesn’t replace the other flip card). This printing process is different from Innistrad and Dark Ascension where there was only ever 1 flip card in a pack. Okay so now that we’ve had that history lesson on what printing is – let’s talk about collation. In the oldest years of Magic there was no collation. The cards were printed, packed, and shipped. Many cards appeared in the same order in booster packs and the same rares in the same order. I vaguely remember in my earlier years, while drafting Onslaught, that there were some cards that often appeared before or after Sparksmith on a sheet. With this information I was able to tell if a Sparksmith was likely in the pack and base my further decisions on that. If you didn’t draft Onslaught you probably don’t get why Sparksmith is so important. Basically it’s like opening a Pack Rat at common. Maybe not quite that bad, but whatever – I’m getting off topic. There have been strides made in order to limit the ability to know what rares would be in what packs. This is also called “box mapping” and while I don’t do it or endorse it, many people try. Some boxes are especially susceptible as a few years ago there was an app you could download to help you do it. I don’t want to say it was box mapping for dummies, but it was. As you can see here, it only took 8 packs to map out the entire box’s contents. This is obviously very unsettling to people and had gone on through Gatecrash and Dragon’s Maze. 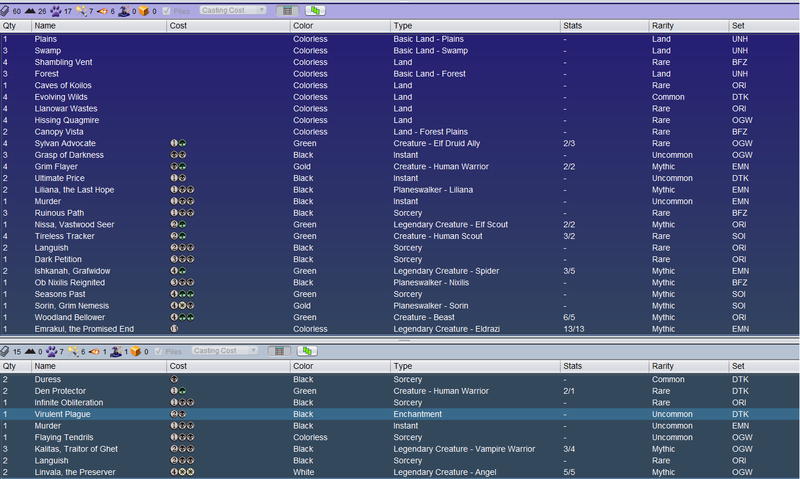 Theros introduced new colation processes that had some packs shift and/or columns move that made it much harder to do. As far as I can tell, going forward it has been pretty hard to map boxes. On more than on occasion we have seen some colation failures and it’s almost always at the expense of the player. 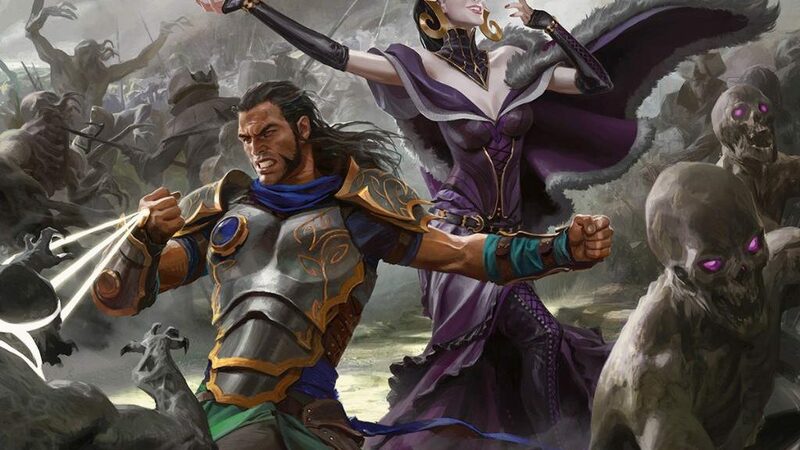 Modern Masters 2015 had a comical number of errors. I experienced two different drafts where the number of cards in the packs was not correct (missing foil, missing rare, extra foil, or extra rare). Then you have weird stuff like this box where every pack had a mythic. This also happened in Fate Reforged where there were a number of people that opened a fetchland in every pack. So we have another problem this time. “Box Mapping” has become too easy for the average player. As you can see in this video, you are able to tell which art packs in a case has all of the non-flip mythics in that case. While it’s not quite as bad as knowing where every card is in a box of a set, you can find most of the mythics pretty easily across multiple boxes with this technique. In fact, after you find one mythic you are very likely on your way to finding them all. This is a big colation problem and might be a result of using a different colation process from Oath of the Gatewatch which weirdly had 4 booster wrappers instead of the usual 3 of a small set. It might also be a problem with how they decided to package flip cards from this set and it was masked by the 5 booster wrappers in Shadows over Innistrad. The short version of this story is don’t buy loose packs. The long version of this story is all of the words it took to get here. So, Spell Queller. Who’s ready for a year of this guy? I’m not sure what’s going to happen in the next few days since it’s already a $10+ rare but man there are so many Spell Quellers in the T64 of SCG Columbus. Moving forward I think there will be an uptick of 1 mana ways to kill Spell Queller (Aerial Volley, Fiery Impulse, etc) but I feel they may fall short of killing the rest of the Bant Company deck. Not a big splash of Eldritch Moon cards in Modern. I wouldn’t give up on your Allosaurus Riders / Eldritch Evolution deck but I’m not saying it’s likely to happen. Pro Tour is a few weeks away. If you see cards under performing don’t ditch them yet. You have a good chance to cash out during a weekend of spikes. Last Pro Tour I was able to sell all of my Dark Petitions for far more money than I should have been able to get for them. This week I wanted to share some decklists with you and since I’m not Saito, I couldn’t use Saito Wayfinder. My last name is said similarly to “Qasali” so here we are. So this is the spirits deck I’ve been playing and planning to play on release day. The sideboard is probably a lot of hot garbage but I’m not exactly sure which 15 cards I want. 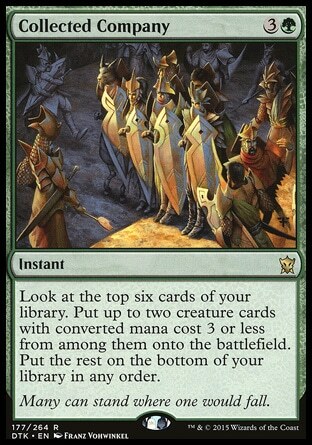 I know I want Always Watching, Plains, Planar Outburst, and Declaration in stone but the other slots are filler. The 60 cards in the main deck are solid. If you’re not sure which deck you want to play on release day I’m sure you can’t go wrong with this. 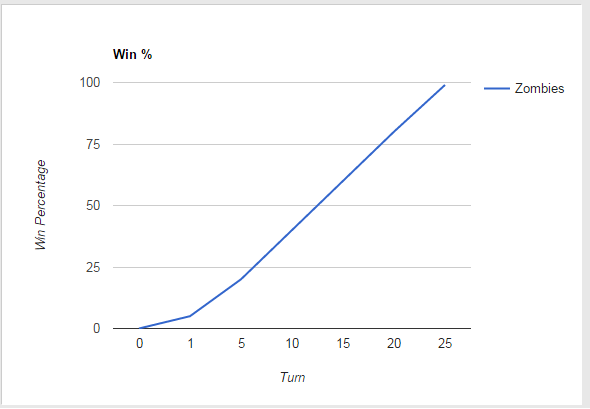 It’s easy to play and pressures a lot of the existing decks in Standard. If you play against anyone playing G/W Tokens in it’s pre-Eldritch Moon incarnation you basically get a bye. This deck preys on the natural weakness that decks right now have to flying creatures and is able to play almost all of it’s spells on it’s opponent’s turn. It has a very faeries-like vibe to it. What about the finance? Well right now you can order the whole main deck for under $130 on TCGPlayer. The lack of must-have mythic rares for the spirits deck means it will be cheap and effective. If you’re just getting back into Magic I think this deck will be a very good budget deck that will see some price increases after this weekend. We’ve already seen Rattlechains increase in price after some initial spirits were spoiled. Once we start seeing results people will be all-in. 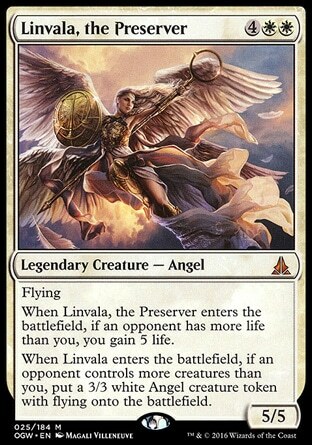 Which brings me to the best card from the set for Standard. Don’t remember what this spider does? This card was pre-ordering for $2 for a bit. Almost every major online retailer is sold out and the only copies you can find are on TCG Player for $13! Why the big change? What did we miss?! Everything. How does Ishkanah deftly deal with these menaces? Quite easily I must say. He is big enough to rumble with an Avacyn without dying. He has a very strong ETB ability making Reflector Mage a lot less useful. He’s too expensive to be hit by Spell Queller. And he creates a ton of bodies so it’s unlikely even the best Collected Company can kill you. This is the kind of card that will let you gas up with Tireless Tracker and grind your opponent out with man lands. In fact, I made a delirium deck to try to test him out. This deck was loosely based on Jeff Hoogland’s Abzan Seasons Past that he played at SCG Orlando. If you’re expecting a lot of Spirits decks this will be a good choice to play at your LGS. Liliana and Ishkanah make it very difficult to kill you quickly and the raw card advantage from Tireless Tracker lets you win the end game. Grim Flayer also provides a lot more value than I initially expected. If you’re not playing against other green decks he will often trample over for 1 damage letting your trade help set up your next few draws. I often found myself milling card types to quickly enable delirium. Sometimes it only took one hit to transform him into a 4/4 which gives this deck some especially aggressive draws. It might be a mistake not playing all of the Languishes in the main deck but the Ishkanahs buy you so much time against decks I’m expecting people to play. This is another pre-order monster that we could have got in early on. 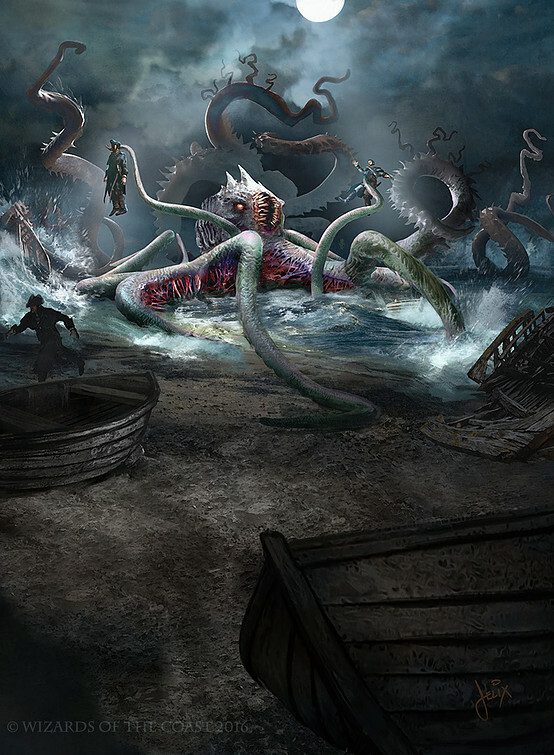 Elder Deep Fiend has been described as the twisted abomination of an Eldrazi baby between Mistbind Clique and Cryptic Command. I was on a Magic sabbatical during Lorwyn block so I don’t know exactly how obnoxious that was but I have a good imagination. This is probably the worst decklist I’m going to post because the mana is a self described atrocity. I wanted to jam all the cool cards that combo with Elder Deep Fiend (Kozilek’s Return, Sanctum of Ugin, and Foul Emissary). Probably should just cut the red cards and play Duskwatch Recruiter (because that guy is fair, right?) and some more green sources. The games where you emerge a Deep Fiend from a Foul Emissary are almost impossible to lose. Getting 8 power and taking your opponent’s turn for 4 mana just feels unfair. It might be time to update the old wise words of wisdom of “Bolt the Bird” to “Bolt the Emissary.” Either way I don’t expect Elder Deep Fiend to not be a pillar of the format. Shambling in at little late to the party is Zombies. This deck has staying power. This very scientific graph basically explains how I feel about Zombies. They’re slow and relentless but they’re inevitable. The more spot removal people are playing the more embarassing the match up becomes. You can watch here Ross Merriam dismantle Michael Majors who just has a ton of embarrassing removal spells in his hand. In tradition with the speed of zombies these days, I don’t expect zombies to come out swinging. Maybe in a few weeks they’ll shamble into top tier which means you’ve got a little more time to get the cards before they go up. Unlike the emerge deck and the spirit deck, this deck is very heavy on Mythic rares. I’d assume it will be playing Gisa and Geralf, Liliana, and Relentless Dead in some capacity which means you should really look to pick them up early. When decks with a lot of mythics get popular it tends to make the deck cost a lot more. Now I think is the best time to get in on Dark Salvation. Despite how it looks, it’s quite mana efficient if you have a bunch of zombies in play and isn’t completely dead against opponents with no creatures. I think it being $1 won’t last long if zombies shamble their way to the top. Gisela is embarassing right now. It looks a lot like a Baneslayer Angel but Declaration in Stone, Incendiary Flow, Reflector Mage, Spell Queller, and Ishkanah make it look embarrassing. It’s great in combat but falls short to all of the non-combat ways to deal with it. The Gatewatch is not looking so hot right now. 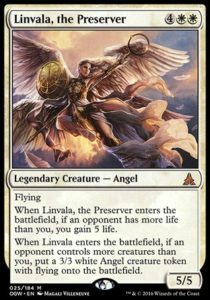 These planeswalkers are not great against cheap flying creatures that are likely to be popular and both can also be hit by Spell Queller. 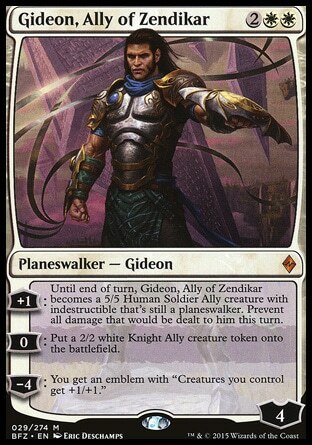 I’m still expecting to see Gideon in sideboards as 4 mana anthem but I think we could see some serious price drops. We’re not 3 months from the rotation of Collected Company. I’m expecting it to keep falling as people that want to play with the card already own it. People who don’t want to play with it are selling their copies to purchase new cheap Standard decks. Those cards are all various levels of good depending on how much you paid for them but you get the picture. She’s an obvious combo with her sister but because it’s a cast trigger you actually need to use Ever After to reanimate them both to get Brisela. I think this might be the best Oath. If we see a reduction in decks playing Hangarback Walker and tokens this card gets a lot better. 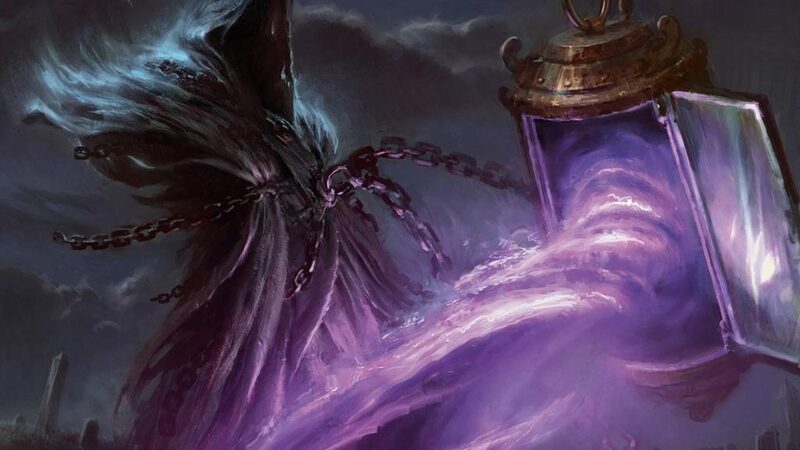 It can’t be countered by Mausoleum Wanderer and provides a lot of value to decks that would otherwise need an extra turn to get a lot of use out of a planeswalker. It does a great job protecting walkers from ground creatures because the token doesn’t enter tapped. This set will be under purchased and you will all hate the prices next Fall. I guarantee it. Conspiracy 2 comes out next month. We’ll probably start getting spoilers during the Pro Tour? Maybe the Monday after. Melding cards at the pre-release was basically impossible. As with every set, I like to make a list of cards that I would consider “non-bulk” that are likely to be useful over the lifetime of a set in Standard. Some of them are pretty obvious (like Duskwatch Recruiter) but some are not so obvious (Angelic Purge). If you missed my last article, here, I outlined the cards I pick from Shadows over Innistrad commons and uncommons. As usual, I’d pick every double-faced card due to their rarity. You never know when another Lambholt Pacifist will turn up. Another thing I would like to note is the general power level of the draft cards is pretty high. A lot of them could see Standard play which bodes well for the set as a whole. 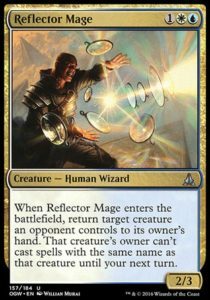 I think Wizards of the Coast has finally developed a good small set plan because this set looks similar in power level to Oath of the Gatewatch which brings us such hits as Reflector Mage. It’s a little unassuming but it fits in great with the “Go wide” plan that a lot of white decks have right now. 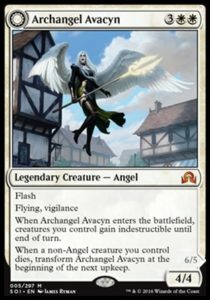 It’s often a 3 mana sorcery that can kill Avacyn or worse and has the kicker of tap a creature to pump your team. 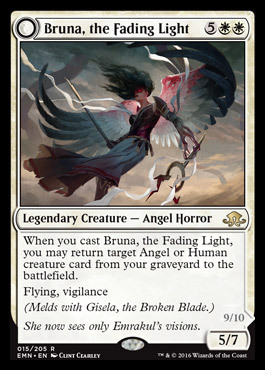 It will likely be important in G/W Mirrors as it doesn’t really allow you go get blown out like Dromoka’s Command. 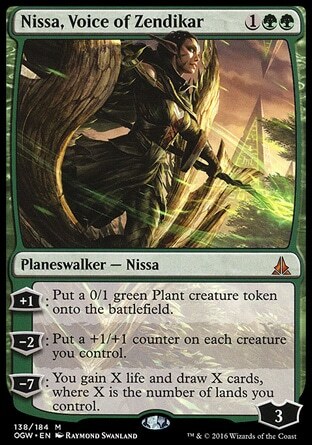 The ability to kill an Always Watching or Evolutionary Leap instead of accidentally hitting a less useful Gryff’s Boon or Oath of Nissa means it will also have a lot more utility like Dromoka’s Command. 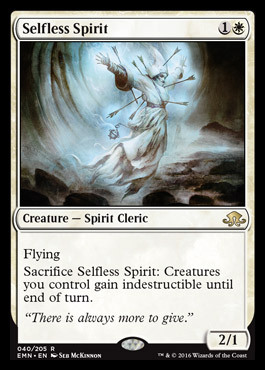 Mausoleum Wanderer and Selfless Spirit are the real glue that will make Spirits a thing in Standard. 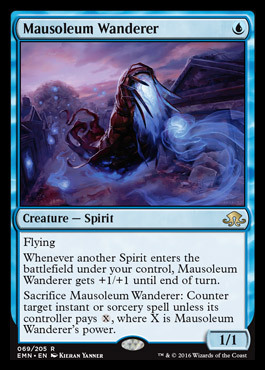 Mausoleum Wanderer gets an upgrade from the $10 uncommon from Shadowmoor, Cursecatcher. Flying and the ability to get pumped by playing other Spirits means it’s a real clock. With a Rattlechains in play, both of these creatures’ activated abilities get a lot better. No longer can people play around “on board tricks” when all of your Spirits have flash. If zombies are even remotely on the cusp of being good, this card will be very very good. It reads oddly because it’s a removal spell that also makes creatures. It’s the best kind of 2 for 1 because it lets you scale it based on the state of the game. It will be great to draw this on turn 1 and turn 20. 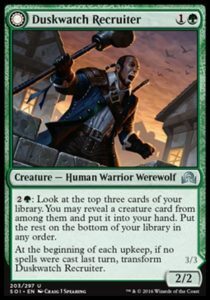 It’s probably not going to be the Declaration in Stone in this set but it is definitely going to be a solid role player for Zombie decks. You know all the decks that play Kozilek’s Return because they have big fatty Eldrazi to trigger the other side with? Well theoretically you don’t even need that anymore. Nahiri’s Wrath is really good at blowing up your opponent’s board if you’re just interested in survival and it does it at a nominal price. If you have some extra lands and a World Breaker you can blow up all of your opponent’s planeswalkers (which are generally hard to kill for ramp) and ensure you survive long enough to rebuy the World Breaker and keep going. 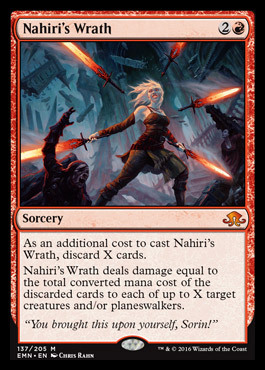 If World Breakers are not really your thing, Nahiri’s Wrath also combos pretty well with Emrakul. 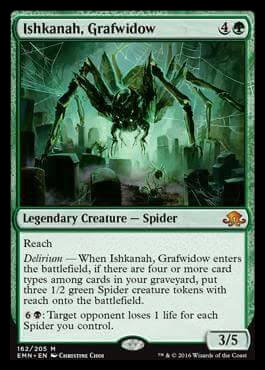 It can fill your graveyard with card types or discard Emrakul herself to kill any planeswalker. 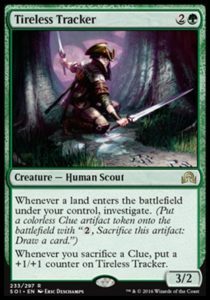 It also sets up any kind of reanimator strategy up pretty well by putting creatures in your graveyard and killing threats. One of the new mechanics in Eldritch Moon is emerge. You know what’s really good to emerge? A creature with a death trigger. 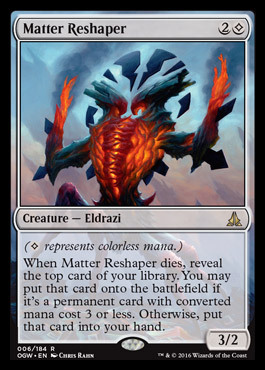 Matter Reshaper lets you curve nicely into an Elder Deep Fiend or other 7 cost emerge beast without giving up cards. You get to basically make a down payment on your emerge guy and it threatens to block. I’m a pretty big believer it’s hard to go wrong with a creature that hits so many important notes in Standard. The fact that you can also hit Reshaper off of Collected Company is just icing on the cake. A lot of people caught on to Rattlechains on Friday. With the full spoiler some players decided they were willing to play it and it saw a modest jump from $1 to about $3 on TCGPlayer. I played some games today and this is easily the best card in the Spirits deck. It was very powerful before but with all these new Spirits it will be a top tier creature. I’m not sure $3 will be the ceiling for this creature for the next month. Did you remember this was a spirit? Since the Spirit deck will likely be playing much of it’s game on it’s opponent’s turn, being able to hold up a counter spell or crack a clue will be invaluable. 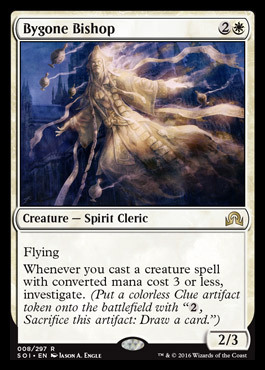 This guy hasn’t quite caught everyone’s eye yet but since all of the best spirits cost 2-3 mana it is unlikely to not make the cut. I think this is more likely a $3-4 role player in a few weeks than the bulk rare it currently is. This might be one the best sets in a long time. Plan accordingly for the fall when everything is stupid expensive because it’s the small Summer set. 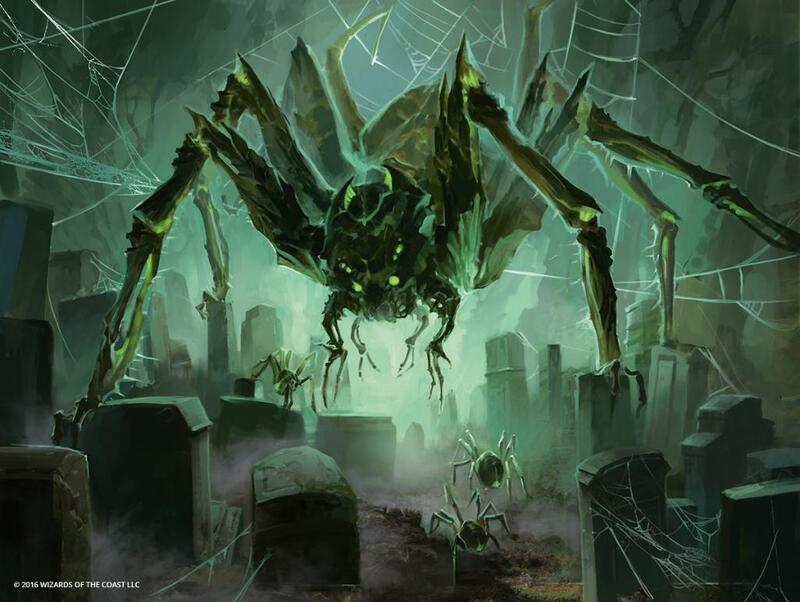 Next year’s schedule for Grands Prix will be revealed at Pro Tour Eldritch Moon. Make sure you tune into to coverage to see if your city will get a GP next year!